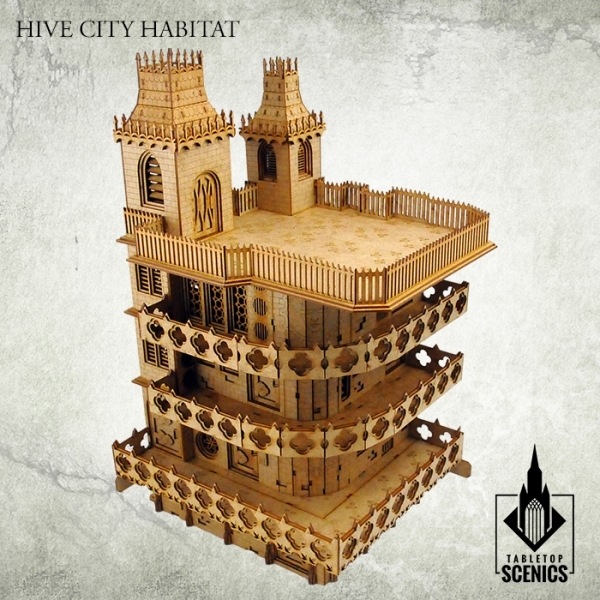 This set contains elements to assemble 1 Hive City Habitat. 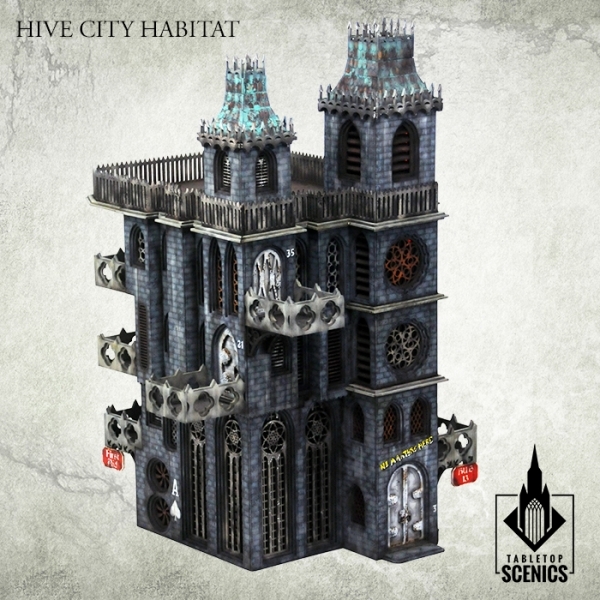 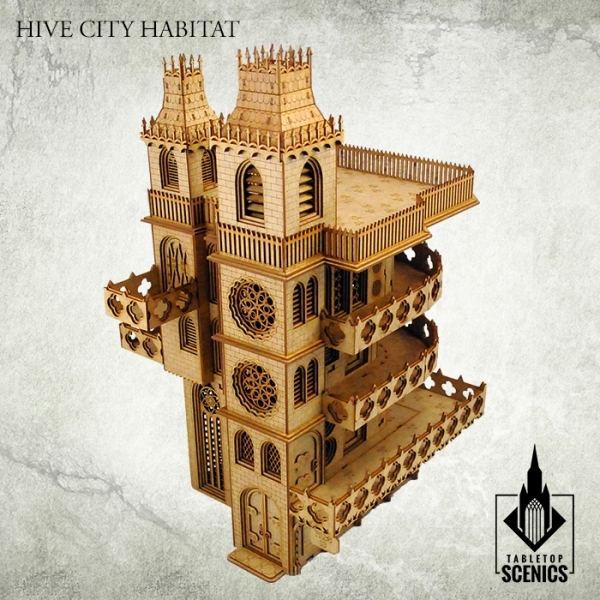 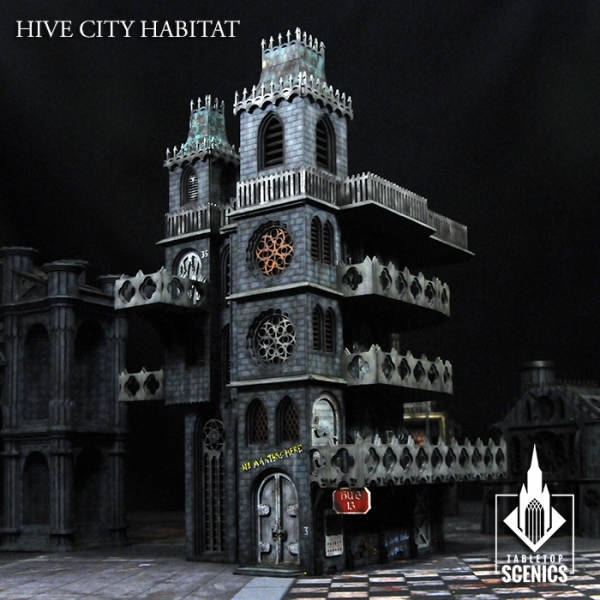 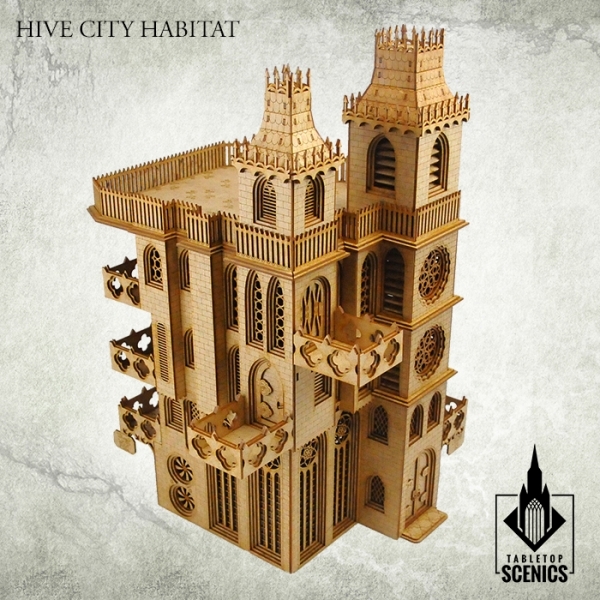 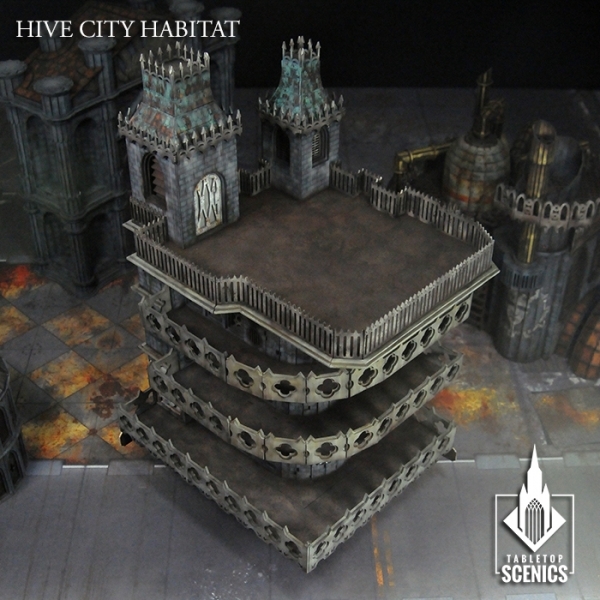 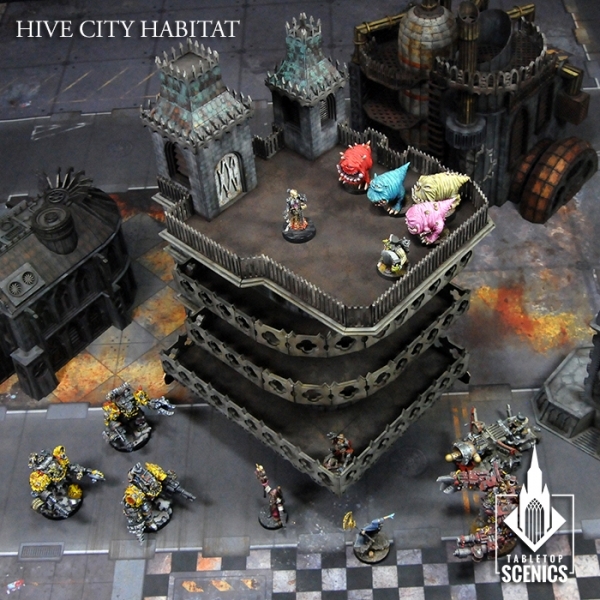 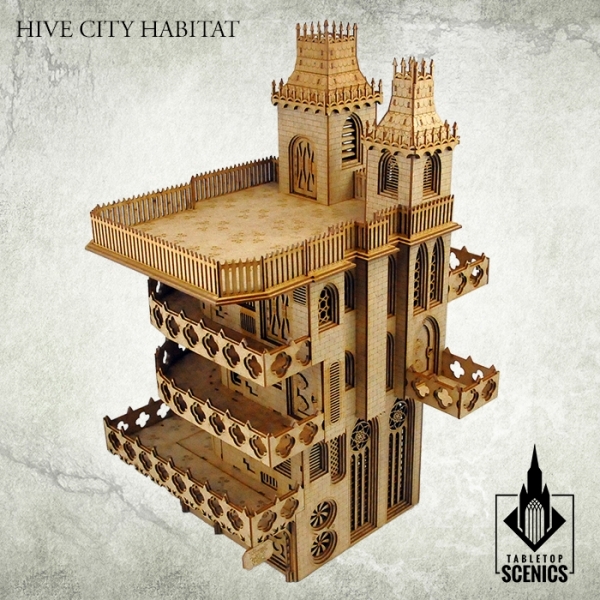 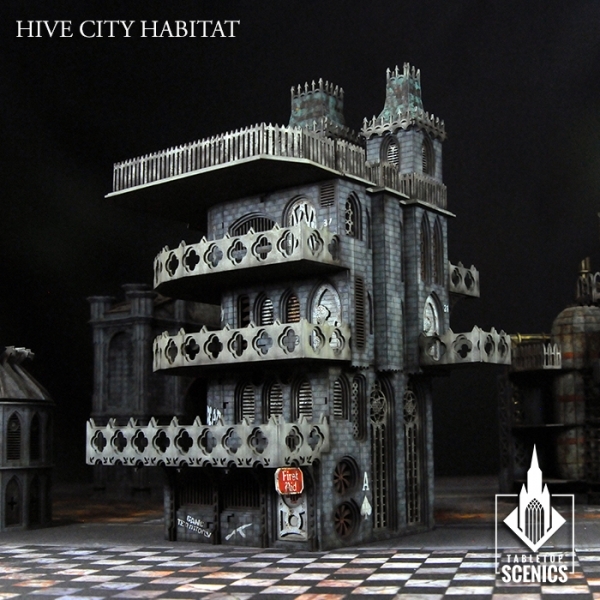 Such towering structures of glass, cement and vents create the majority of hive city. 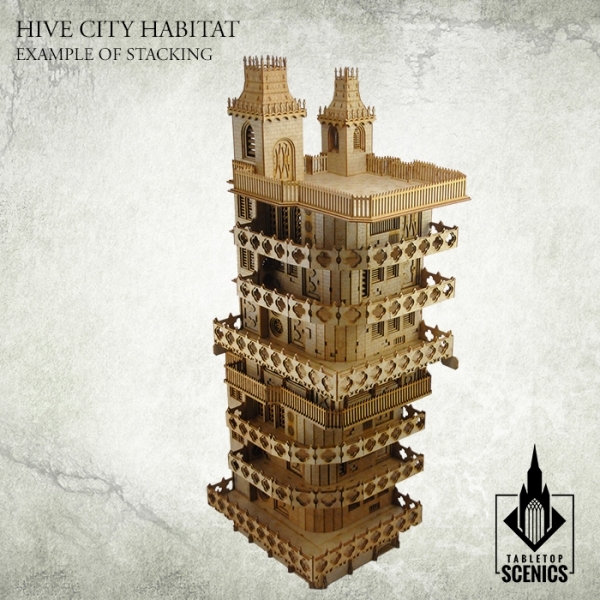 They form spire-like towers, rising several thousand meters upwards - although some of them begin as simple habitats, housing only several families. 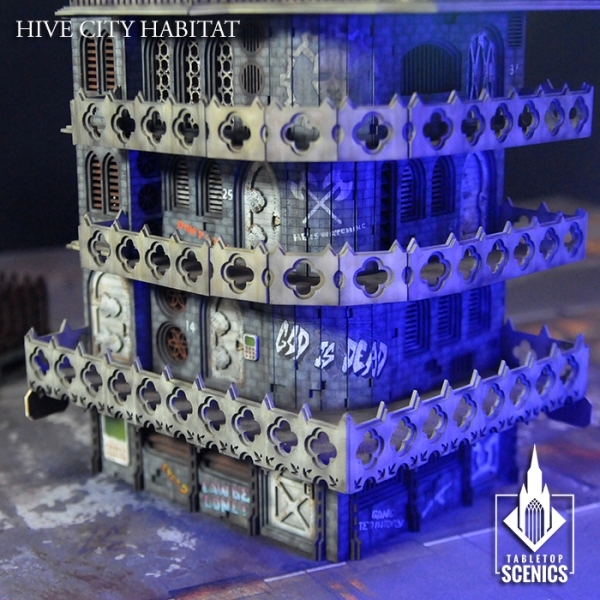 With every generation, its walls become thicker with dust, scarred by shootouts and branded with gang symbols.